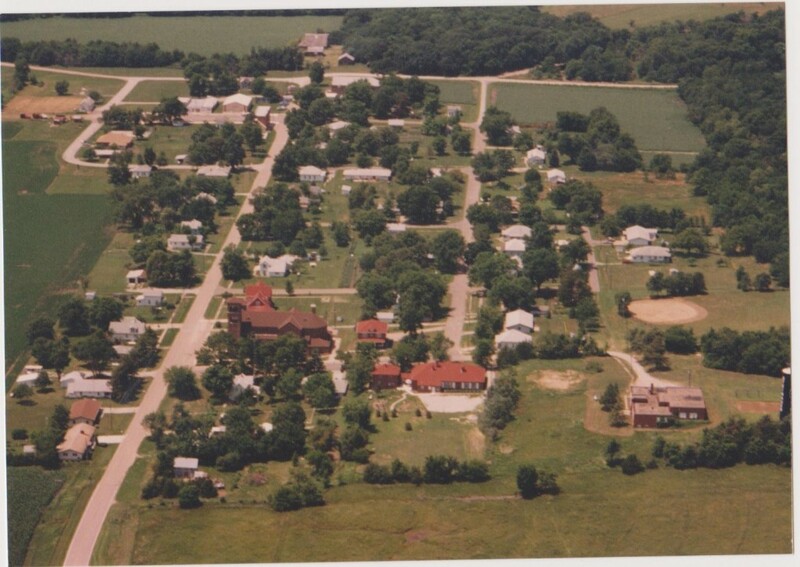 The Village of Steinauer was named for Joseph A. Steinauer who along with his two brothers Anthony and Nicholas D., in 1856 settled in Pawnee County along Turkey Creek. The three brothers preempted the first land from the government. Each bought 160 acres and later homesteaded more land. 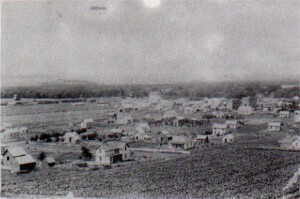 Joseph donated the 80 acres of land on which the town subsequently was built. The townsite extended east and south of his home which was built on the northwest comer of his land. By 1887, the Rock lsland Railroad had been extended from Horton, KS through the Steinauers’ land and had built a depot in the townsite. The first train passed through the town in September 1887. The last train passed through on January 25, 1967. 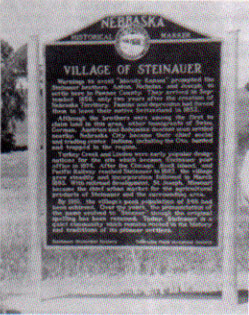 Steinauer was incorporated in the year 1890. Joseph had the post office in his home until the Postal System was established and moved to a separate building. He also handled Pony Exp~’ess and mail for the settlers. Joseph built the first flour mill in Pawnee County (Stockholders’ Company Flour Mill) in Steinauer, then in 1892 sold half interest in the mill. Anthony donated the land where the original Catholic church was built in 1882 before there was either railroad or town. Members of the church were Steinauers, Carvers, Wenzles, Kaufmans, Bemadts, Curtins, Vrtiskas, Gyhras and Bystandigs. From 1856 to 1882 Mass and other church services were conducted in the Joseph Steinauer home and then later in a school house south and east of town. This church served the people until 1889, when it was evident a larger church was needed. The second church was built in 1889 within the village limits, on the present site of St. Anthony’s Church. The congregation grew to 650 people. Fr. Conley was the first resident priest. The old church was then moved to town for a rectory and the land is the site of St. Anthony’s cemetery. The present church was built in 1927 at a cost of $104,000. Father Ress came in 1908, and during his stay the first parochial school was built. Fr. Dowd, who was next, was in charge of the parish when the present church was built. A new St. Anthony’s rectory, a two-story brick, ten-room building, was built in 1918, at a cost of $14,000 and still serves as the present day rectory. From the northeast comer of his land, Nicholas D. donated the site for Salem’s Evangelical Church, and sold an additional two acres for a burying place. Salem’s Evangelical Congregation was organized in 1879. The first church was dedicated in 1886. In 1951 the church was remodeled and a new addition was added. After their centennial in 1979, the church was again remodeled to make it more accessible for the handicapped. The STEINAUER STAR newspaper started about 1890 and went to approximately 1930. The last editor being Bert Edson who also put on silent movies in the Opera House which occupies the upper story of the Bank of Steinauer, a two-story brick building constructed in 1888 by Joseph Steinauer. This building has a pressed tin ceiling, and the walls are covered with both pressed tin and wooden wainscoting. A vintage scenery curtain still hangs in the stage area. The building continues as a local bank. The bank was chartered under Charter 501 of the State of Nebraska on July 5, 1898, and has always been owned by the Steinauer family. The bank was first established in 1888 and was originally located in the building which serves as the current post office. A water system was installed in 1912, with electricity and street lights following in 1913. In 1968 the street lights were changed to the present Sodium Vapor lights. 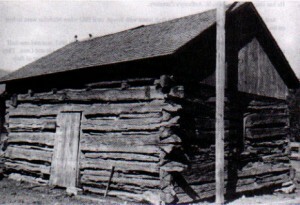 The first public school was built in 1875 on the hill at the northeast part of town. Only three months school, (and in the winter time) was held. Later a brick one-story high school was built with the fu’st class graduating in 1931. This high school closed in 1967. The children are bussed now to neighboring towns for schooling. Also in 1913, the first parochial school was built for $12,000 under the direction ofFr. Ress and served for 20 years before being destroyed by fire on May 6, 1932. The second parochial school was built in 1932 under the direction of Fr. Grogan at a cost of $18,000 with an attached sisters’ convent. With the decline in enrollment, the school was closed in May 1970. In 1929 the K of C Hall was built to be used as a center of social activity rather than using the smaller Opera House that had only one exit. Mrs. Nicholas A. (Anna) Steinauer was the last living owner of the K of C Hall and she donated this building to St. Anthony’s parish. The Sacred Heart (Burchard)/St. Anthony’s (Steinaner) Knights of Columbus men’s group was the 10,000th K.C. organization in the world to be chartered. It was also the 100th chartered in the State of Nebraska. The streets in town were graveled in 1925, with black top streets following in 1959. In the summer of 1857, another family came and settled a few miles down the creek from the Steinauer brothers; this was the Joseph Kanfman family. In the following year, 1858, John Bernadt and his wife arrived. In 1865, Charles Schultz, his wife and two childen came to the community. Next came Mr. and Mrs. Frank Wenzl with their nine children, arriving in 1867. Joseph Vrtiska came also in 1867. Other families to arrive in the Turkey Creek settlement, in those early days, were Wenzl Hauner, his wife and children, who came in 1870; Peter Conradt in 1872, John Gyhra, his wife, Anna, and seven children in 1873; the John Blecha family with two children in 1878; Ignatius Kalin in 1881. Blizzards, prairie fires and hot, dry winds came and went, but the strong in body and will stayed on, set down roots, raised their crops and children, and helped make Nebraska. A Nebraska Historical Marker was dedicated on June 20, 1976, and is located on the highway east of Steinauer on 67B just west of the Highway 50 junction.